Thank you for your interest in Advantage Chemical Corp products. 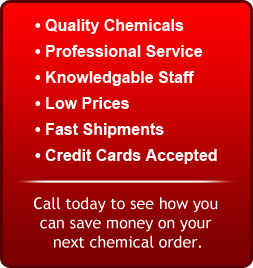 Here at Advantage Chemical Corp., our number one goal is the satisfaction of our customers. We are one of the largest suppliers of maintenance supplies and are a nationwide distributor who serves the Continental U.S. Our knowledgeable staff has over 30 years of experience in the industry. We supply products that are environmentally safe and that comply with OSHA, EPA, DOT, and Military rules and regulations. We are committed to providing exemplary service and support to our clients. We are available 24/7 for technical support and guarantee our products 100%. So please take a look at our products, and feel free to call us with any questions. We will be happy to service all of your maintenance needs.